The amazing result is below, and I was so honored with another Fearless award! And this award comes with two milestones. Not only does it make my tenth from Fearless Photographers, it also means I’m now the top recommended Fearless photographer in Pennsylvania. And this last competition saw more than 13,000 entries. So yes, I’m pretty stoked. Fearless Photographers is a wedding directory dedicated to seeking out photographers whose passions push limits in order to deliver “extraordinary wedding photos”. To be considered for one of these globally competitive awards is an honor; I am beyond humbled that they have recognized me for a dozen. JPG will surely thank them by continuing to take chances every time we shoot. 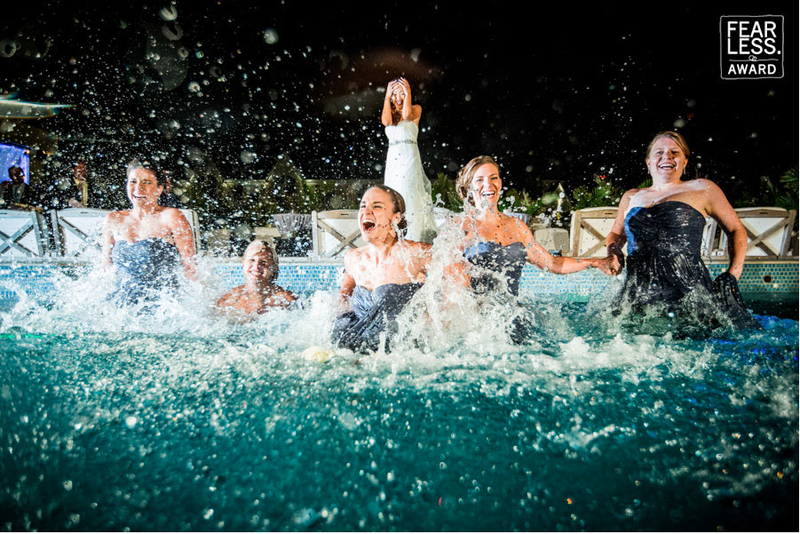 This shot would not have been possible without the bravery of Amanda (Szbanz) McGough and her daring bridal party! Being fearless is a dual effort. We have some of the best clients out there who trust us enough to let themselves go. Thank you Amanda and Derek.